This program offers an integrated study of general chemistry, historical and environmental geology, soil science and general biology through the examination of concepts, theories, and structures that underlie the natural sciences. 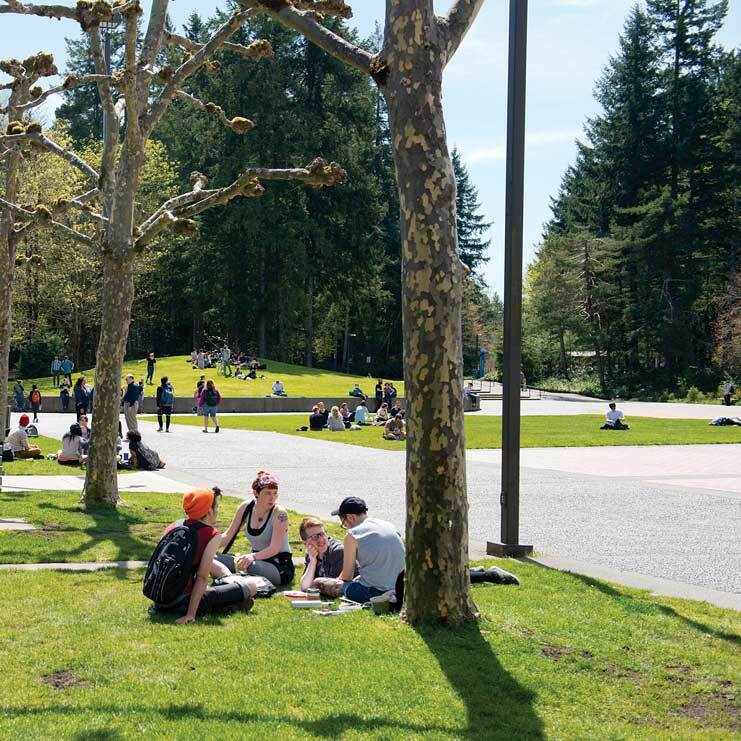 It is intended for students who are interested in pursuing more advanced coursework in biology, chemistry, ecology, and earth sciences at Evergreen. Fall quarter will integrate topics of biology, chemistry, and geology through the study of early Earth history. Molecular structure and properties will enhance our understanding of biological function at the molecular level. These will be covered through the study of genetics and inheritance, structure and synthesis of DNA and proteins, and how these molecules are integrated into cells. In winter quarter, chemical concepts of kinetics and equilibria will enhance our studies of soil science. Biology content will focus on a more organismal level by examining important concepts in animal developmental biology, reproduction, and physiology. In spring quarter, we will examine equilibrium reactions in greater depth and begin our study of thermodynamics. We will further examine evolutionary processes on a macro level through the study of plants, diversification of life, and ecology. Program activities will include lectures, small group problem-solving workshops, laboratories, field work, and a field trip in spring. This program is designed for students who want a solid preparation for further study in the sciences. Students who want only to get a taste of science will find this program especially demanding and should consult with faculty before the program begins. Overall, you are expected to end the program in spring with a working knowledge of scientific, mathematical, and computational concepts, ability to reason critically and to solve problems, and with hands-on experience in natural science. You will also gain a strong appreciation of the interconnectedness of biological and physical systems, and an ability to apply this knowledge to complex problems. Note: this program reduces to 50 students in spring quarter. biology, chemistry, environmental science, geology, and health professions. Students should have a solid understanding of mathematics at the algebra II or precalculus level. Students need to demonstrate knowledge of fall quarter material. Contact the faculty for more information and to arrange an assessment (schofiep@evergreen.edu).